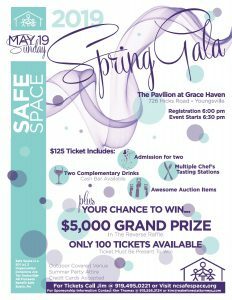 The 17th Annual Spring Gala and Reverse Raffle is approaching. To purchase tickets, contact Jim at 919-495-0221 and arrange for pick-up and payment or pay online using the link below. If paying online, please be sure to complete the form, with a complete mailing address where the tickets can be sent. Kim Thomas at 919-556-3134 or by email at kim@wakeforestattorneys.com.